This is not fiction, this is real. Video curriculum designed for groups of students -- late elementary through high school. Their parents and youth leaders could also benefit from it. How to prevent bullying, how to help the victims, how to help others become involved to stop the bullying. Also learn how to heal not only the spirit of the one who's victimized, but the bully as well. "This is not fiction. This is real." 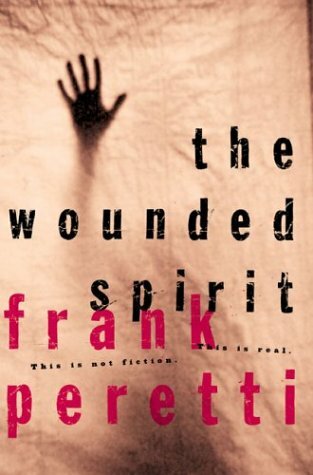 So reads the cover of The Wounded Spirit, the first nonfiction title from bestselling novelist Frank Peretti. In a departure from his usual spiritual thrillers, he's penned his personal journey through pain, disfigurement, and abuse, offering hope for those struggling with emotional wounds. Peretti vividly chronicles how he became the object of negative attention in a gym class, after a horrific medical condition that he grappled with as a child caused his growth to slow. Winding throughout his personal story is a thoughtful look at how culture shapes our perception of the worth of individuals--and how events from Columbine to the movies reflect this. Although Peretti has experienced healing, the depth of his wounds are still apparent, poignantly saturating each page. Yet he writes, "A wounded spirit need not be permanent. Throw off those chains of bitterness and resentment that have been constraining you for so long, and get on with your life." He also admits the damage he himself has inflicted, and apologizes, noting "it amazes me how a victim, who knows how it feels, can still be insensitive to the feelings of others."